Welcome to our website. Mitchell Productions is versatile video production company based on the western coast of the Lake District UK. We generalize in a variety of fields, and do not specialize in any one given area. 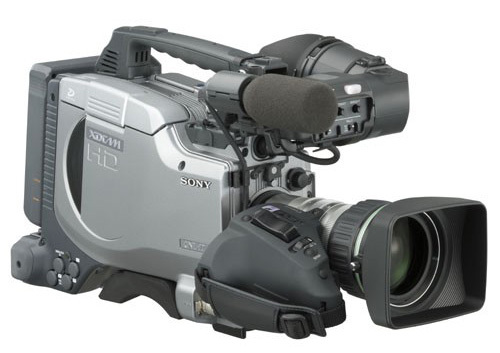 Our company can offer clients a high degree of professionalism by polite friendly crews at a highly competitive price range, by using only SONY PDW F330 XDCAM HD camera equipment. We are confident that the quality of footage we take for our clients will be to the highest standard. Previously, we operated as freelance for other production houses in the Cumbria area but in 2000 decided to start up what is now known as Mitchell Productions. Since our first day of operation, we have produced work for Cumbria County Council, Cumbria Fire Brigade, the Holiday Inn Group as well as national building merchant giants Travis Perkins Ltd and the Workington Comets speedway team. We have also filmed countless weddings for local clients and for clients throughout the UK including Brian Laws, the former Nottingham Forest footballer and now the current manager of Scunthorpe United. If your questions have not been answered within this website then please do not hesitate to contact us. We would be pleased to answer your questions by phone or email.